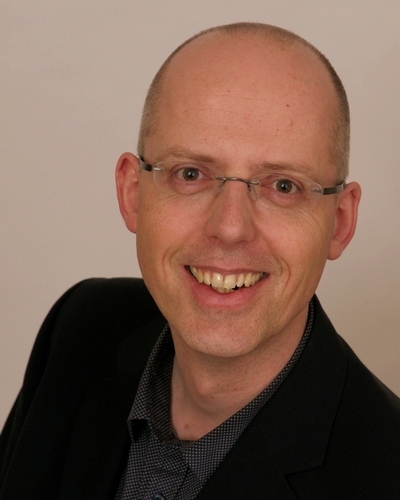 Erik Geurts is the world’s most experienced independent Revive Adserver specialist, offering support, training and consulting for Revive Adserver since 2004. He also develops plugins for Revive Adserver and runs an advanced hosting platform for Revive Adserver. He started all this after working in various positions in management consulting, project management, and systems development for large corporations including Time Warner and Deloitte. In 2007 he started his business, which was renamed to Platform IQ on January 1, 2013. Erik Geurts is General Manager. Erik holds a Master’s degree in Business Administration and Information Management, and lives with his wife in The Netherlands. He likes hiking, cooking, swimming, and listening to soul and jazz music. We asked Erik to tell the story of how he got started and what his work involves nowadays. Born in 1965, I grew up in The Netherlands. After primary school and college, I got a Master’s degree in Business Administration (MBA) and Information Management from Tilburg University in 1990. After a few short term positions, in 1993 I landed a job as information analyst at the EMEA headquarters of Time Warner Publishing in Amsterdam, The Netherlands. Soon after, my role changed to include project management. From 1996 to 2000 I worked at Dutch IT consultancy firm Consultdata (which was acquired by Deloitte in 1999) as IT Consultant, and in 2000 I joined Dutch IT consultancy firm Ordina as a business consultant, project manager and later management consultant. I started my IT business ‘on the side’ in 1992, offering systems development services to small businesses. In 1994, while beta-testing soon-to-be-released Windows 95, I was first introduced to a large scale public network, MSN. Back then, the internet was already a fact of life, but the World Wide Web was not very well known yet. Tim Berners-Lee, while at CERN, invented the web in the 1980s but it took more than 10 years before it really got the world’s attention. In 1996, CompuServe introduced a subscription that enabled users to create very rudimentary web sites and that was also the very first time I started developing web sites. Around 2002, working on websites became not just a fun way to spend free time, but suddenly also a serious business. Advertising and affiliate schemes started to bring in some money to pay for the hosting of the sites, and ListMessenger.net was profitable from day one. Making changes to the websites to put in or take out ad campaigns was becoming daily work at the time. Purely by coincidence I discovered the free open source ad server software OpenX in early 2004 (back then it was still called phpAdsNew and it also carried the name Openads for a while in 2007). Quickly after installing it and implementing it on my sites, it became clear how powerful the software was. I joined the OpenX support forum in May 2004 in search of additional information, but soon discovered I was able to help many others with their questions. In early 2006, I started receiving requests for consulting and training projects related to OpenX. I have since worked with hundreds of clients on various OpenX projects. In early 2007, I started working part time in my ‘regular’ job, so I could spend more time on my own business and the OpenX Source support projects that kept coming in. I wanted to find out if it was as much fun as anticipated. And it was! I also found out that my work was very much in demand and clients were lining up. Toward the end of 2007 I decided to take the final step, leave my office job completely and become a full time independent OpenX Source specialist. And the rest, as they say, is history. Hosting services for OpenX Source were added to the company in the spring of 2008, and this has grown into a platform capable of serving billions of ad impressions per month. In the fall of 2009, together with former OpenX senior developer Matteo Beccati, I founded the AdserverPlugins.com project, developing enterprise grade plugins for the OpenX Source ad server software. In September 2013, the OpenX Source software was handed back to the open source community and renamed to Revive Adserver. I contributed to the new project from the start and currently spend about 20% of my time on it. Commercial services around Revive Adserver include hosting, support and plugin development. We also sell the Revive Adserver REST API.